Size: Bracelets: 45mm inner diameter, Earrings: 36mm long; Handmade Woven Beads: about 10~14mm in diameter. 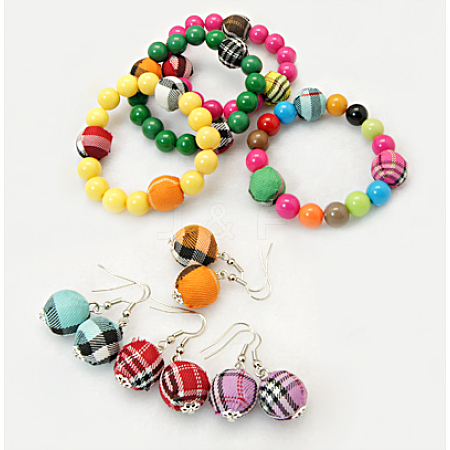 Colorful woven beads sets are fashionable and economical for a just-for-fun style. The color of the acrylic beads are the same with the picture showed and the woven cloth beads's color is randomly.